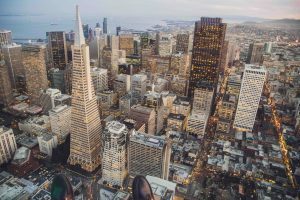 A San Francisco Court of Appeal ruled that relocation assistance payments for tenants, increased by a 2015 law, were unlawful and pre-empted by the 1985 Ellis Act since they placed a “prohibitive” cost upon a landlord’s right to leave the rental industry. This is a disappointing decision for tenants who are kicked out of their buildings and have to find suitable housing in a challenging market. For tenants who were long-time residents of these buildings, the move may be particularly difficult since rents have increased drastically in San Francisco in recent years. It may not be possible to find an apartment of comparable size or within the area for the same price. If you are being evicted and you are not sure it was lawful or you need relocation assistance, contact the San Francisco tenant rights lawyers of Brod Law Firm right away. The Ellis Act enables landlords to evict tenants from properties they wish to remove from the rental market. The newer 2015 regulation enacted by the San Francisco Board of Supervisors created relocation assistance rules that intended to help evicted tenants facing a difficult housing market. Under this law, landlords were required to pay evicted tenants the greater of either an inflation-adjusted base relocation payment per tenant or the difference between the tenant’s current rent and the prevailing rent for a comparable apartment in San Francisco for two years, with a limit of $50,000 per tenant. The court of appeals found this relocation assistance rule made it too expensive for landlords to leave the rental market – something they had every right to do. It was simply too great of a burden to place on landlords’ shoulders. It is important to note that the 2015 regulation never actually went into effect since, at the time, there was still a court case going on about a 2014 regulation regarding relocation assistance. Now, both the 2014 and 2015 attempts to increase relocation assistance have been overcome by San Francisco landlords. What Assistance Can Tenants Receive Now? Instead of following the 2015 regulation, landlords will now be required to follow the old regulation passed by the Board of Supervisors in 2005. This rule limits tenant relocation assistance payments to $6,281 per tenant or $18,843 per unit no matter the number of tenants. I am Being Evicted, What Should I Do? If you believe you are being unlawfully evicted, contact the San Francisco Rent Board or a San Francisco tenant rights attorney at Brod Law Firm. The reality of the situation is that if you are being evicted, you are going to need to look for a new place to live. You will have a very difficult time trying to stay if the landlord has decided you need to leave. However, if the landlord has not gone about your eviction in a lawful way, you may be entitled to damages. You also may be entitled to relocation assistance, even if the eviction is lawful. The best thing you can do for yourself is to learn more about your rights as a tenant and seek help in protecting and enforcing those rights. For more information, contact Brod Law Firm at (800) 427-7020.